The Arlington Police Department is asking for the public’s assistance in finding a missing man. 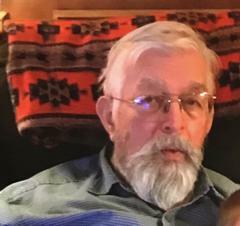 Gary Janky, 79 years old, was last seen at approximately 1:30 p.m. in the 5400 block of Park Springs Boulevard, on November 12, 2018. He was wearing a blue button down shirt, tan and red jacket, blue jeans and wearing black shoes. He is driving a 2015 White Volkswagen Tiguan, license plate FDD9406. Mr. Janky is 6’0, 230-240 pounds, with gray hair, gray beard, hazel eyes and he wears glasses. Anyone with information on Mr. Janky’s whereabouts is asked to contact 9-1-1.